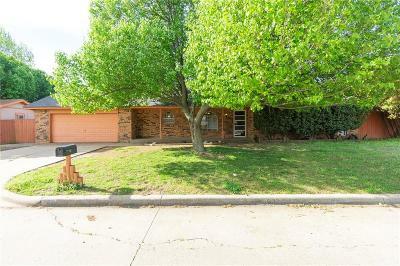 632 Wood Crest Street, Moore, OK.| MLS# 862359 | Oklahoma City Real Estate | Apple Realty, Inc. Welcome home to character, warm tones, classic archways and beautiful fireplace with blt-in shelves! Functional layout includes kitchen with breakfast bar, dbl ovens, blt-in range, plenty of storage and counter space! Dining area opens to beautiful wood floors and cozy fireplace in the spacious living area. Partial garage conversion is bonus space or optional 2nd living area. Master bedroom features inset ceiling, vanity area plus en-suite w/shower. 2 Secondary bedrooms with plenty of natural light and great size. 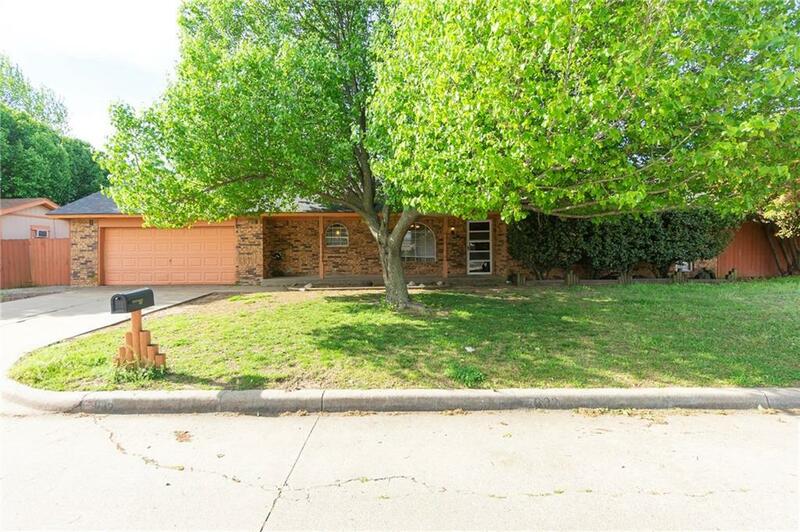 Home sits on corner lot with mature trees, covered patio, storm shelter and 2 storage sheds. Garage conversion is partial and storage space remaining. Tons of features in this beautiful home. Call for your private showing!